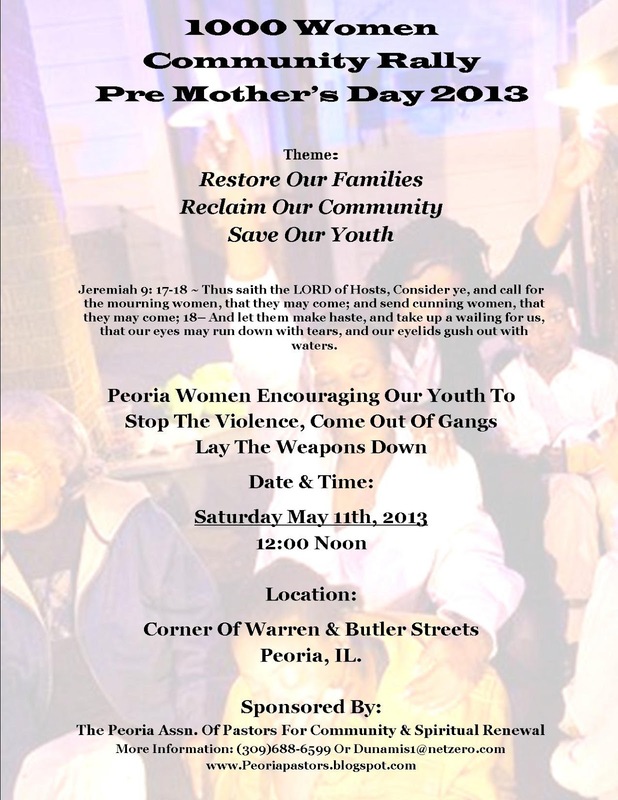 The Peoria Association of Pastors For Community & Spiritual Renewal is calling for a pre-mother's Day community rally for the restoration of our families and peace and safety of our community. This is not just an event. It promises to be a paradigm shift in how the community assesses and addresses crime and violence and sets forth change. This gathering will take place Saturday May 11th, 2013 just prior to Mother's Day Sunday, at 12:00 noon, near the corner of Butler & Warren Streets on Peoria's South Side, and is scheduled to last about an hour. The first of two community rallies, the goal of the pre-Mother's Day event is to gather 1,000 Mothers/Women and their families to address crime and violence calling upon on our youth to cease from both destroying one another and our community's hope and future. 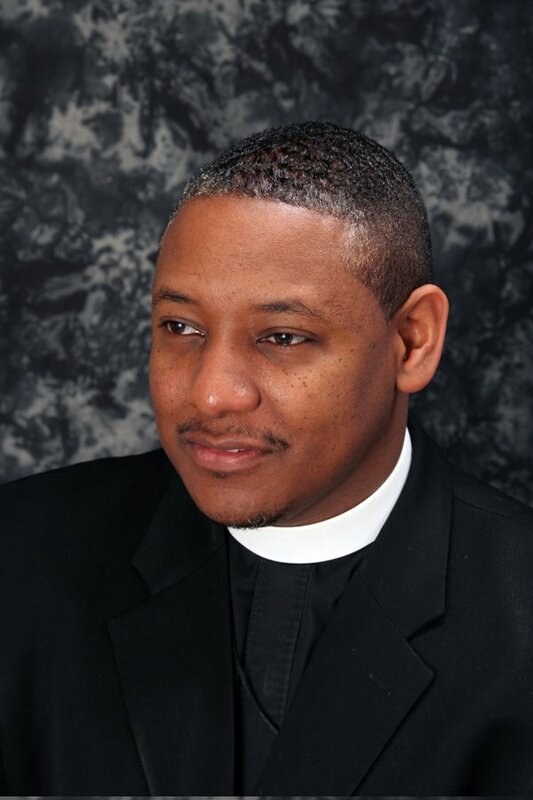 Pastor Burnett is asking for women and mother's to bring themselves, their significant others and families to pray and speak to our community and our youth. Email Dunamis1@netzero.com or call (309)688-6599 for additional infomration or how you and your group may participate and support this landmark community effort and event.